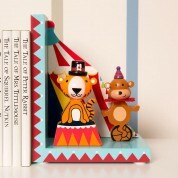 These fun and colourful characters will add a playful touch to a baby's nursery or a child's bedroom. They include a lion with a bow tie, a tiger with a top hat, a seal balancing a ball and a monkey on a unicycle. Behind them shows a classic circus marquee tent. 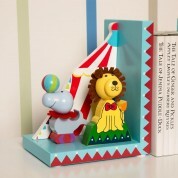 The wooden book ends are hand crafted and decorated with non toxic paint. 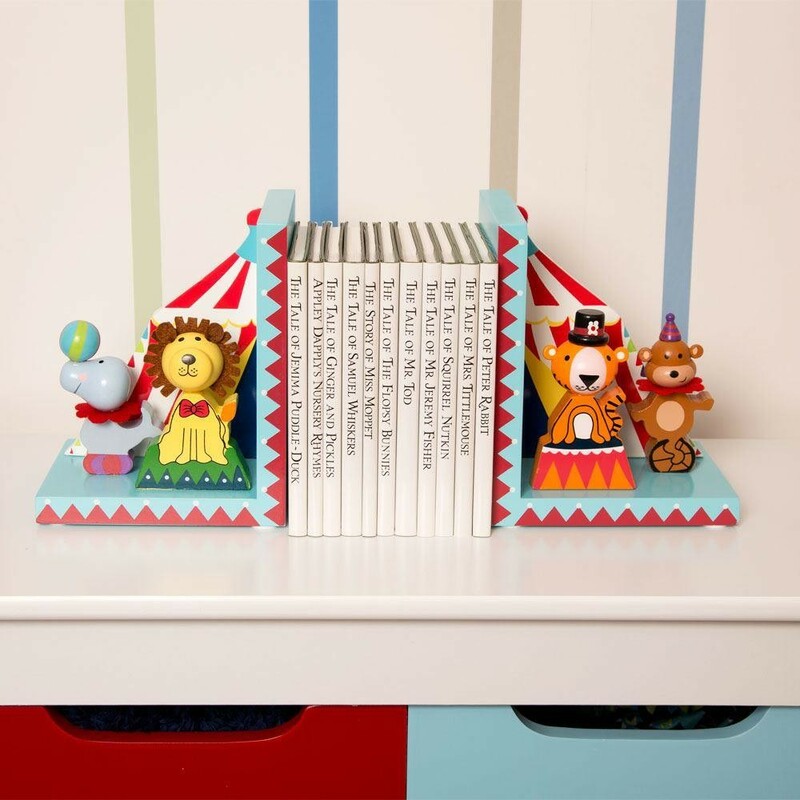 Use them on your child's shelves to keep their books in order. The perfect keepsake gift for a baby or child celebrating a birthday, christening or any other special occasion.